Like most 10-year-olds, Ruairi Coyne loves nothing more than meeting his friends and playing football. But when he was younger it was difficult for Ruairi, who has Down's Syndrome, to find opportunities to play in a team. "Ruairi engaged in occasional football sessions at school and at the weekend we would play in the park," explains his mum Valerie. "He tried rugby. It wasn't a special needs team, he was young, he wasn't as strong and his speech was very delayed; so it didn't really work out." In November 2014, Valerie was told about Down's Syndrome football sessions run by Crystal Palace's Palace for Life Foundation. It was the chance Ruairi was looking for. He soon became a regular, despite initially struggling with co-ordination and communication skills. And with the help and encouragement of the Palace for Life Foundation coaches, he has made great strides with his personal development. "Palace for Life is a fantastic organisation," Valerie says. "They have enabled Ruairi to develop a physical and a mental toughness. "He has learnt the importance of being disciplined with everything he does, he has increased stamina and strength and is a lot more independent and confident. "He looks forward to the session every week. He loves meeting up with his friends and, by being sociable, it's put him in a situation where he has had to develop his speaking skills." Ruairi is now an important member of the club's DS Eagles Football Team, which is supported by the Premier League/BT Disability Fund. 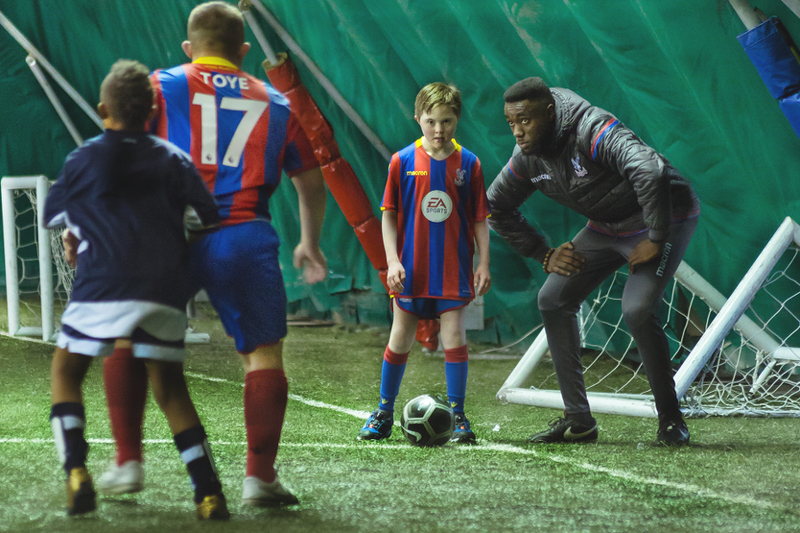 He has represented his beloved Crystal Palace in numerous matches against other clubs that have been arranged in association with DS Active, and was part of the team that had a tour of Emirates Stadium after playing fixtures against Arsenal earlier this month. 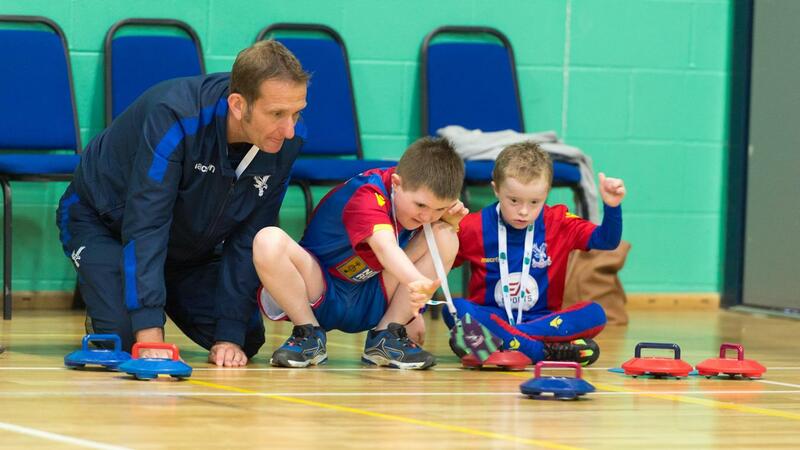 He also took part in last summer's PL/BT Disability Sport Festival at Stoke Mandeville. "Seeing him when he's in his Palace kit and enjoying it makes us really proud," Valerie says. "When Ruairi was born, we had no idea what he would be capable of. For him to be given the opportunity to show what he can do is a huge thing. "Just because you have a disability, it doesn't mean that you can't participate. There's loads of different things that can be achieved. "It's wonderful to see our son running around that pitch and everybody cheering him on. He tries so hard. It's fantastic."